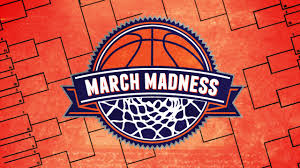 You, Me and Movies: March Madness RETURNS! I meant to get this going a little bit quicker than I wanted, but I had a busy couple of weeks. I apologize, I hate to set goals then totally fail at bringing them to fruition. So without any further ado, let's get going on what I am planning. That is merely a hint, of course. As much as I love "Survivor," this won't be anything "Survivor" related, not quite. 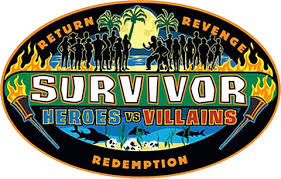 Back during the 20th season of the hit reality show, CBS invited back ten castaways known for their integrity and ten castaways known for their deception. It was one wild season, and I thought for this March, I'd use the same spirit. But just with screened entertainment. I want to create a bracket that features sixteen heroes of movies and sixteen villains of movies. Now that I have also slowly shifted to include TV on this blog, I also want a bracket featuring the sixteen heroes of TV and sixteen villains of TV. For the first time on this blog, I will have a March Madness style bracket featuring the best of both the movie and TV worlds, and the ultimate showdown of good and evil. So, as in the preliminary process, I am asking you guys for help. Who are your favorite heroes from both movies and TV? Who are your favorite villains? Where do the anti-heroes lie? Would you categorize Walter White a hero or a villain? Or how about Godzilla? Or Tyler Durden? Or Dexter Morgan? Or Stewie Griffin? Fair questions, let me know. Part of the fun is helping me put the bracket together, so please let me know who you want to see on the bracket. I can't promise all of your choices will make it, but they will be weighed, considered and if enough people want one particular character, they will make the bracket. Just like last year, if enough people want one particular character, that will help that character's seeding. I want to get this bracket on published by Friday, so you have all week to get your favorite characters in. I want to give you guys the entire weekend for Round One and I will display the voting schedule this weekend too. Let's see who you want to have on this bracket. You can email me (bloggershawn@gmail.com), leave a comment or catch me on Facebook!